$22,000 will help four new Waynesboro businesses open by next spring. 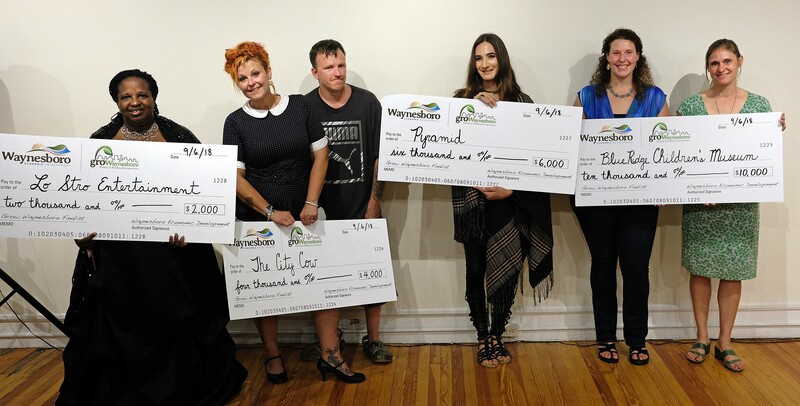 Grow Waynesboro is pleased to announce the final grant awards for four new local businesses, helping them to create jobs and build a culture of entrepreneurship in Waynesboro. This marks the third year of the Grow Waynesboro initiative, which was made possible by sponsorships from Lumos Networks, Shentel, and Union Bank & Trust. The announcement of winners follows months of searching and outreach to identify the most exciting and innovative new business start-ups in Waynesboro. Fifteen grant applications were received with ideas for new or expanding businesses. 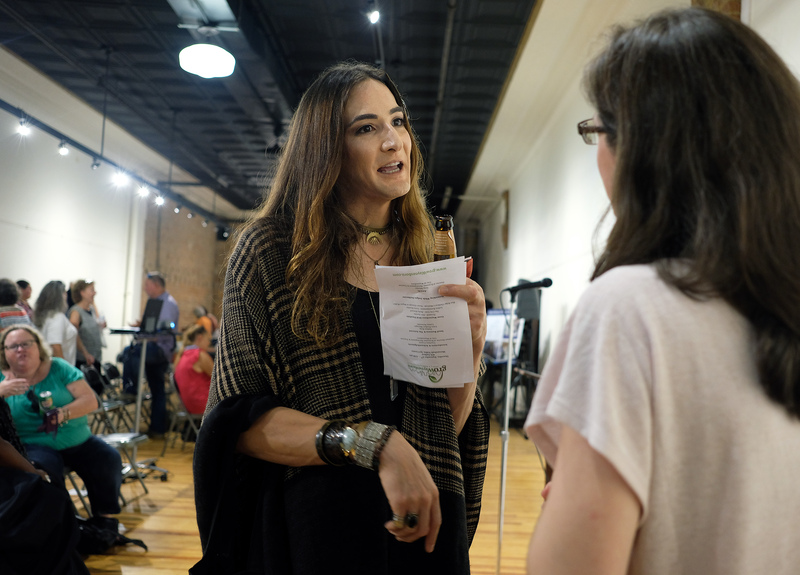 Applicants then took part in an eight-week business planning class walking them through the process of developing their concepts and a business plan. The business plans were then reviewed by a panel of judges and narrowed down to a group of eight finalists. 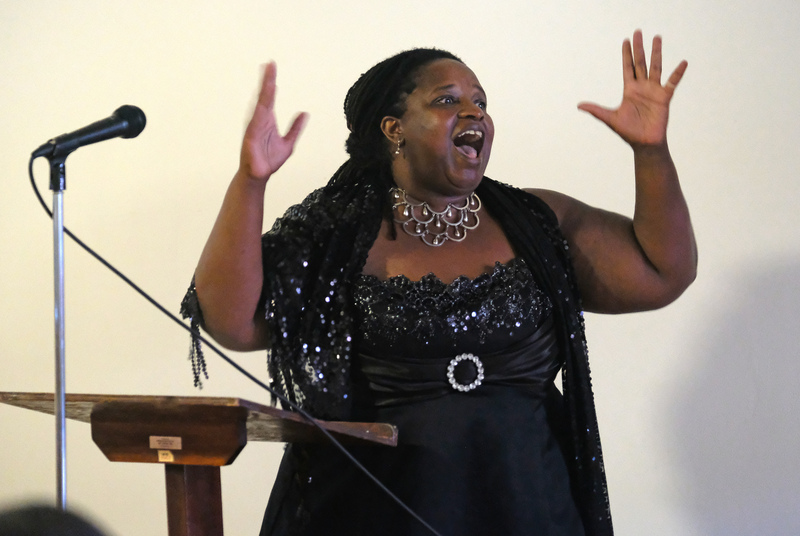 September 6th, at a public Pitch Night event at Shenandoah Valley Art Center’s 416 Gallery, the finalists stood before judges, peers, and community residents in order to “pitch” their business plans. Judges chose the final awards based on a diversity of criteria, including the start-ups’ job creation, their business viability and readiness, as well as their positive impacts on downtown Waynesboro. Blue Ridge Children’s Museum, awarded a $10,000 matched grant, will use the funds to leverage raising an equal amount in donations allowing the museum to transition from their Museum Without Walls program into a downtown bricks and mortar. 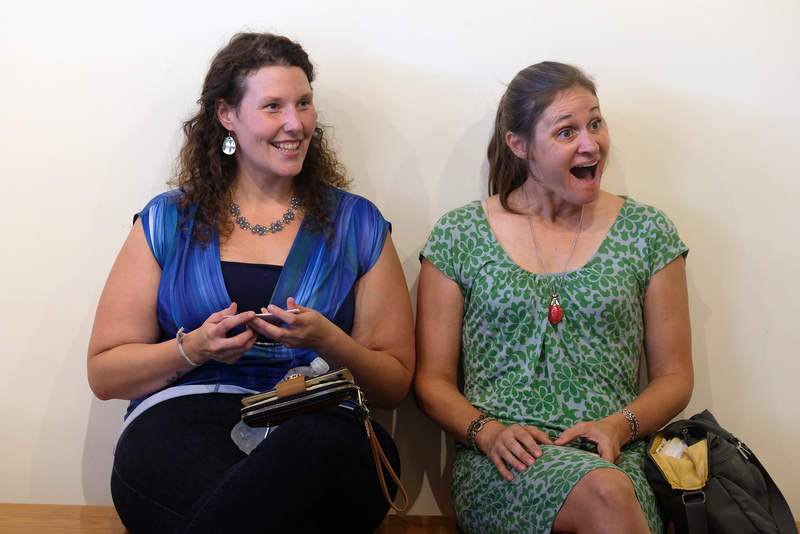 Megan Walker and Karen Orlando of the Blue Ridge Chidren’s Museum. Photo by Norm Shafer. Pyramid, awarded $6,000, will be the area’s first new age store featuring hand-crafted skin care products by owner, Anh Stanley. 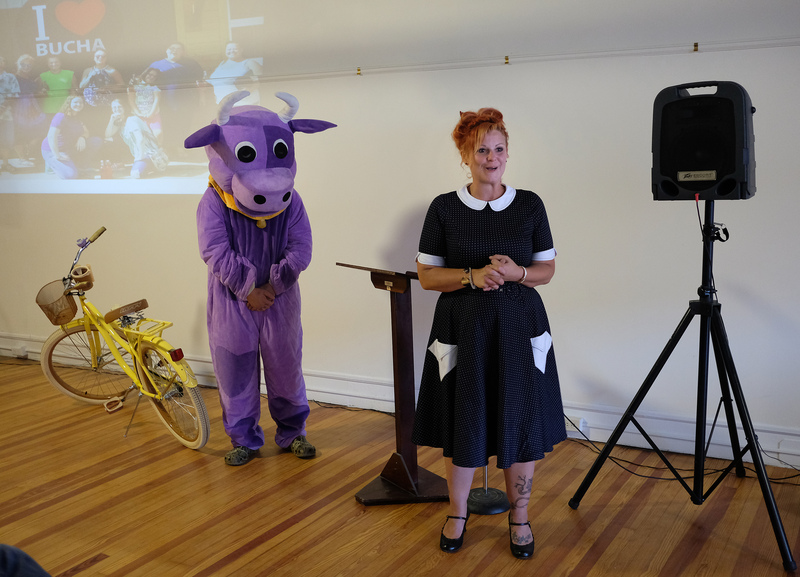 The City Cow, awarded $4,000, will use funds to launch a bicycle rental program out of their downtown Waynesboro location. Becky Kincaid of The City Cow. Photo by Norm Shafer. LoStro Entertainment, awarded $2,000, is a professional entertainment company booking gigs for local musical acts. Lorie Strother of LoStro Entertainment. Photo by Norm Shafer. 2018 Grow Waynesboro grant awardees are to have their business, project, or expansion launched by March 31, 2019.